Survival and safety solutions provider Survitec has agreed a performance-based logistics (PBL) contract with Lockheed Martin (Rotary Mission Systems), a deal believed to be the first of its kind. Six USAF pilots were the first F-35 pilots to be fitted under the new deal and are the first of 650 pilot kits to be delivered over a three-year period of performance. The new logistics model is designed to reduce equipment lead-times, minimise downtime and overcome cumbersome commercial processes, but also transform how the equipment is issued to each pilot. The 'Perfect Fit' programme is the first PBL solution for military pilot flight equipment and will also drive lower costs, improve availability and most importantly increase safety, continuing Survitec’s strong heritage as an innovations-led solutions provider. 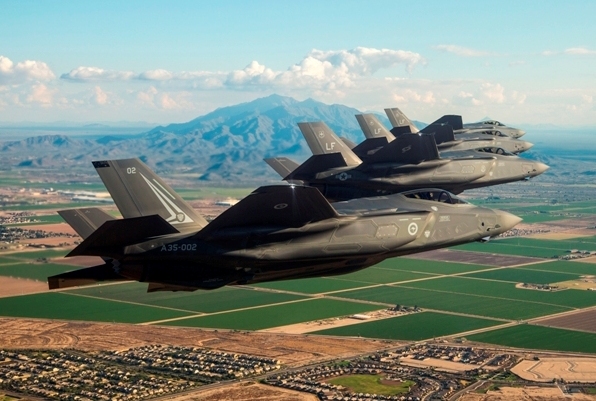 Survitec’s Defence and Aerospace business unit has been providing pilot flight equipment to the US F-35 Lightning II Program since 2003, following competitive tender activity. The contract award was a major milestone as it saw Survitec become the first UK-based company to be selected ahead of US competitors. June of this year saw contract activity spike, with an award of over 3,000 garments destined for Warfighters entering the training program. Survitec has personnel co-located with other key F-35 stakeholders at three US locations to date, with a fourth location planned for 2018. Further Pilot Fit Facilities outside the US at international partner locations are still under careful consideration. David Griffiths, VP – Defence Sales at Survitec, said: “We are pleased to be classed as a pioneer in our field as our PBL solution acts as a platform to drive lower costs, improve availability and increase safety. We are proud to offer this new solution after a number of years working on the project, to further streamline our processes.